Enjoy the best inspirational, motivational, positive, funny and famous quotes by Ann Rutherford. Use words and picture quotations to push forward and inspire you keep going in life! 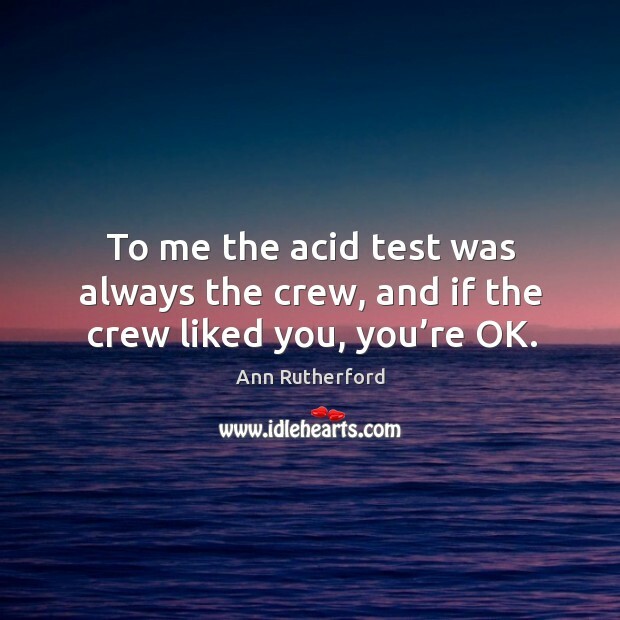 To me the acid test was always the crew, and if the crew liked you, you're OK. Most of the contract people at MGM stayed and stayed and stayed. Why? Because the studio looked after them. Warner Brothers wouldn't - they were always spanking somebody or selling them down the river. From the time you were signed at MGM you just felt you were in God’s hands. 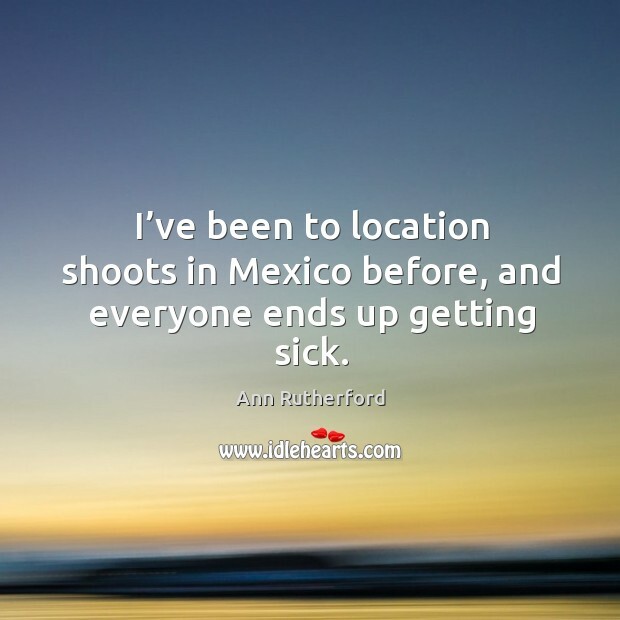 I’ve been to location shoots in Mexico before, and everyone ends up getting sick. 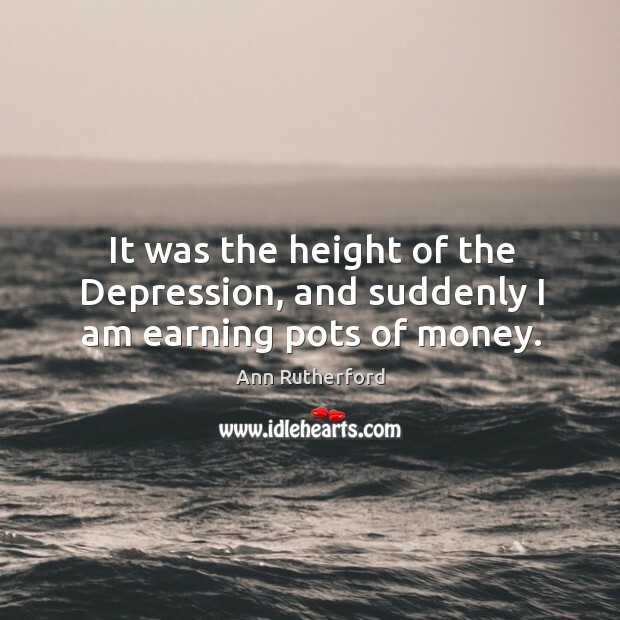 It was the height of the Depression, and suddenly I am earning pots of money. Most of the contract people at MGM stayed and stayed and stayed. Why? Because the studio looked after them. Warner Brothers wouldn’t – they were always spanking somebody or selling them down the river. 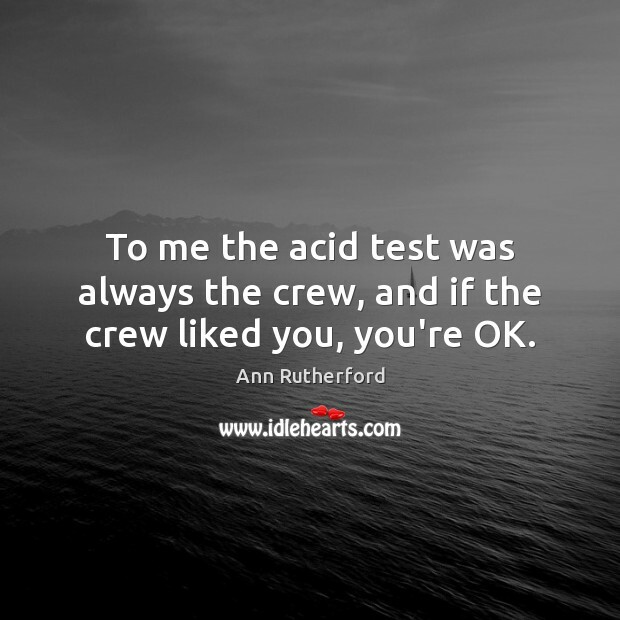 To me the acid test was always the crew, and if the crew liked you, you’re OK.